stuff I want to make. in my bookmarks folder most likely won't be made. would like to get to this week. Actually, I want to make every single thing at My Mama Made It. Alexis is my new hero. Bunting. America. Have the fabric. Really hoping to get to this in time for the Fourth. I think a garland of these would complete Janey's room. Actually this would be a great TV project. Ashley has so many amazing tutorials I am hoping to try. Don't even get me started on the mural she painted. I especially love these simple lounge pants made from t-shirts. My husband might not notice if one went missing from his vast wardrobe. I have a tote from Trader Joe's in this same shape. I also have some oilcloth collecting dust. 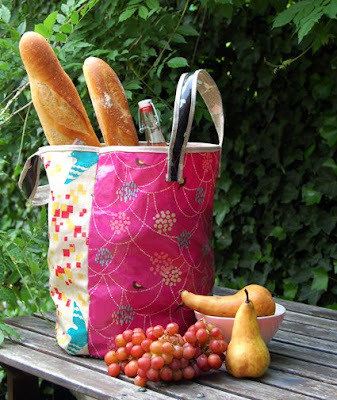 shopping with the little ones if I have funky reusable bags. wrappers and made Janey a new friend. Off to crazy town clean up. And I love your little owl...so adorable! I LOVE owls! That's so cute!! Thanks for this post. Lots of fun ideas! I really want to make an attempt at those t-shirt pants! Holy smokes! I love your blog! It is so bright and fun. So nice of you to be interested in something we have made. I'm going to have to poke around your blog more this is just too cute. Anjeanette of the R&W girls. Well I added four bookmarks just from this one post of yours! You know, some day we'll have all the time in the world to craft and we'll miss when our munchkins were little. That's what I always tell myself when I'm feeling like I'm really missing out on my craft time. Thanks for giving me more stuff to dream about! Looking at it and dreaming about it are always a good second choice! I need that necklace right now. I love it all.....great stuff..I enjoyed reading your blog today. Love it when I have time to do blog hopping...I always enjoy finding new blogs and new friends. Hope you will stop by and visit me. This month I am posting on our Disney trip plus a June giveaway. Great project choices - - I had a similar disappointing moment today of realizing that my DIY list is getting impossibly long. Oh, wow! Lots of new bookmarks!! I love that you featured Ashley from Lil Blue Boo. She's such a talent. I'm so lucky to know her in real life! I'm so with you. I have so many tutorials bookmarked. So many crafts, so little time! I am still vowing to make (or attempt) one of your darling messy flowers. Great links! 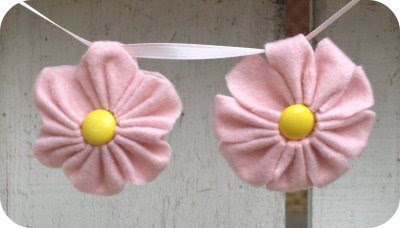 I love the flower garland and it would look great in my daughter's room! I've got a ton of things I want to make as well. lol I actually got one finished today! A dress for my 4yr old. welcome to crazy town...we've been here for 2 weeks now. these projects are fun julie. Thanks so much for posting my link!! Your site is SOOOO wonderful! I LOVE it! All of that was so cute...BUT that little girl of yours in the last picture...OH MY!! She is absolutely gorgeous!! Wouldn't it be wonderful if all these talented people would just come to our homes and show us all these pretty projects in person? Thanks for giving me lots to add to my summer to-do list! I'm meaning to make those pants, too. My idea folder is bursting at the seams!! Ugh...I'm not sure I can thank you for this fabulous list! Like you, my "To-Make" folder overfloweth. And now it overfloweth a bit more. 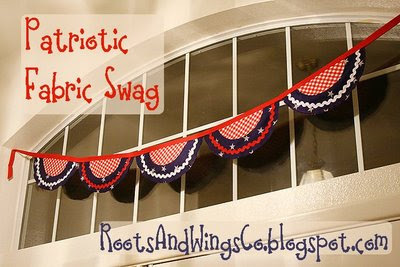 I'm totally making that bunting. And that ruffle skirt. Fo' sho'. Thanks for sharing the goodness...it is fun to drool over it all and dream! Janey and her owl friend are adorable! Oh my those skirt are precious! Well all the things you listed are!! i just ordered the ruffle fabric!! i couldn't resist...especially when i saw how easy it (seems) appears! thanks julie...i would never have found that. Oh thank you this post kept me busy (avoiding house work, laudry, and kids) for hours, ha ha! I love that first skirt it is so frilly and cute, right up my ally! I love the owl! You keep coming up with such great ideas for baby wipes. Now I feel guilty about throwing them out these past few months. Wow. I am not sure why I keep coming back. I now have ANOTHER 2 projects I must plan for! :) I love your blog. The ruffle skirts & the crinkly toy...I will definitely be adding those to my MUST MAKE list. Thanks for all the great ideas! you always find and share the most creative things. i only wish i could make them all! You are my new hero and mom-crafter-guru. I'm so glad you are participating in Erin's giveaway week. I'm so glad to "meet" you! I'm totally adding you to my RSS feed this very second!!! Such adorable things! I have a bookmark list a mile long of things I've seen that I want to make! It seems like all I ever do is add to the list, and never take anything off!